To incorporate the country style charm in the house, one doesn’t necessarily need to live in farfetched countryside areas to experience that feel. 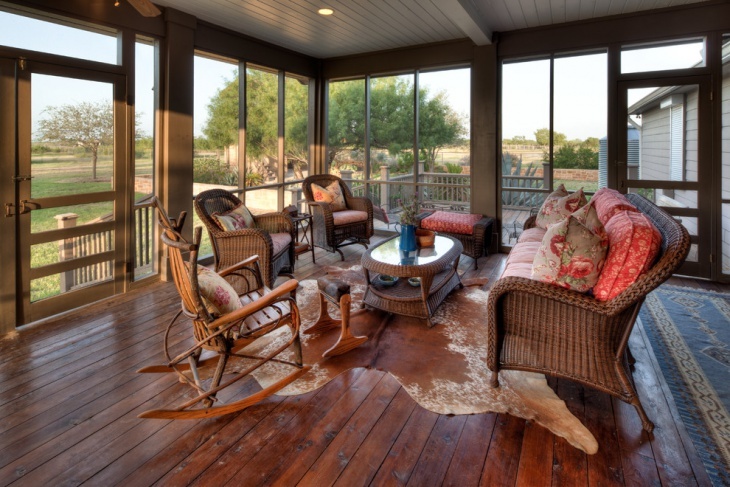 You can create the perfect country charm by adding some dimensions to your home. Country style is a collective style combining of vintage furniture and dull color paints with a rustic theme and much more. 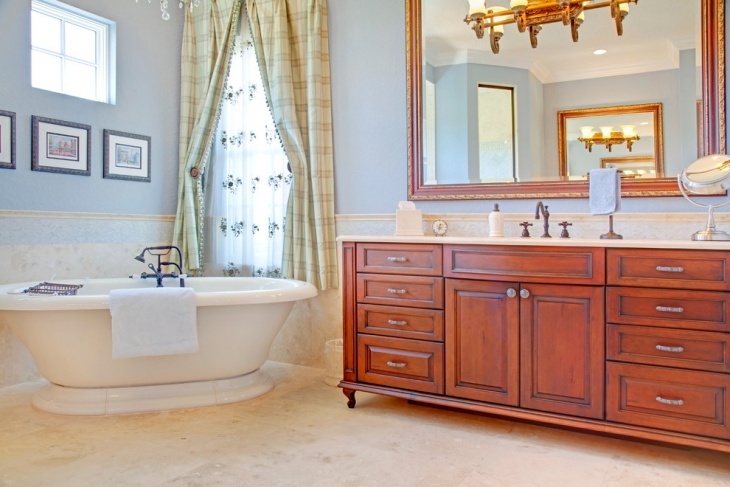 It is a very homey design giving utmost importance to comfort. 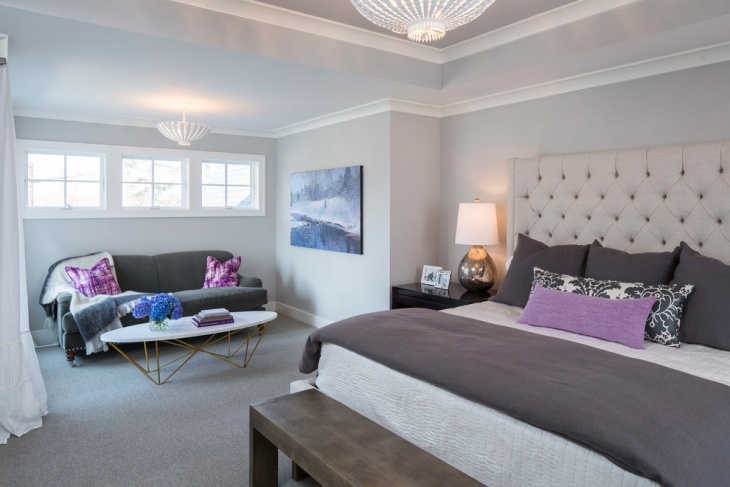 Modern meets traditional in this beautiful and cozy Master bedroom featuring modern country interiors. It features dark wooden flooring with huge arched windows. It has framed pictures on the wall just above the bed, two lamps beside the bed and comfy beddings. 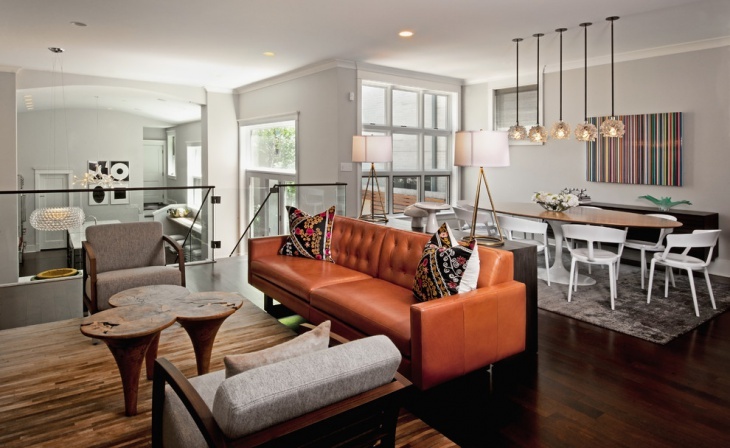 This beautiful looking transitional room features modern country interiors including the furniture. 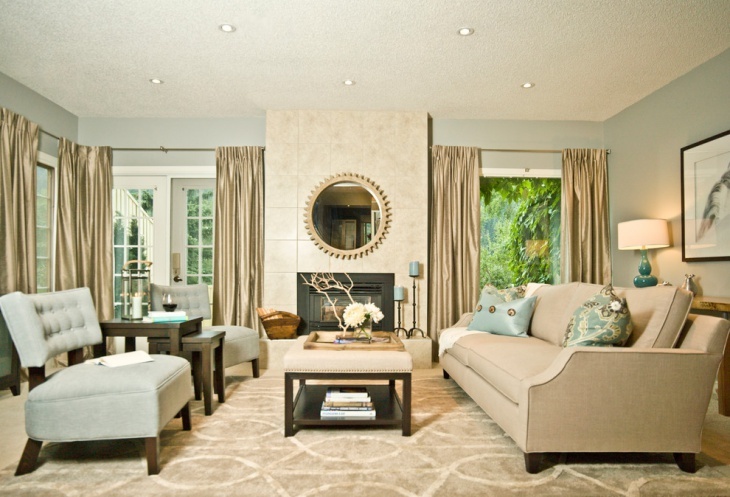 It is a large and spacey living room with a dusky beige color scheme, features a fireplace, gold curtains, large rug, mirror, lighting and a center coffee table. 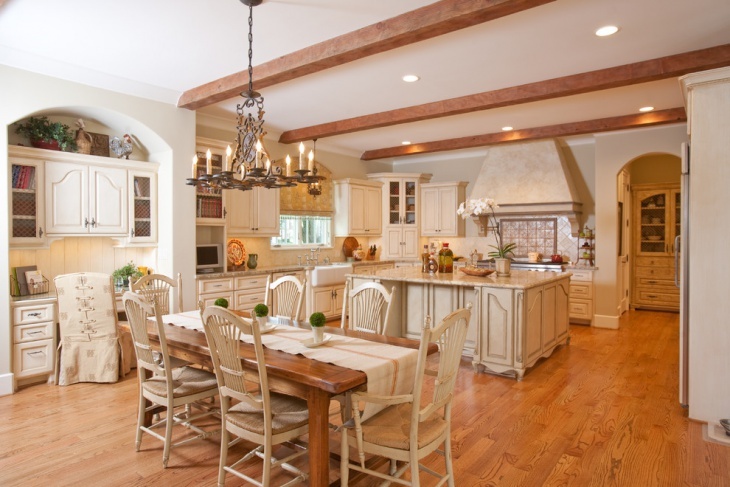 This is a French country kitchen in a traditional style and design featuring a center island that has a khaki glaze. 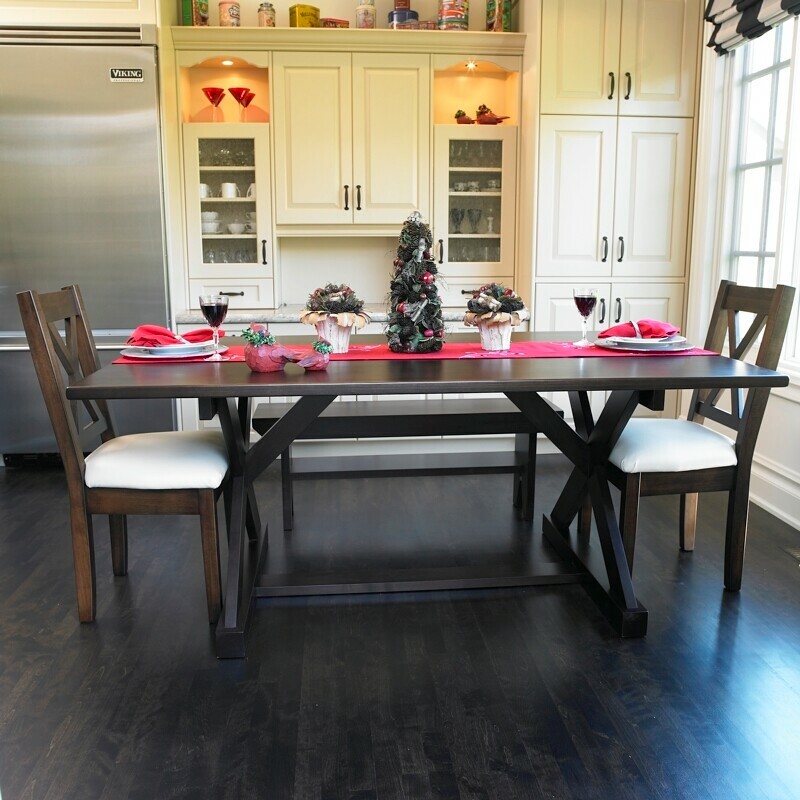 It also features a dining table area with a chandelier above with candle lights. It is a large kitchen featuring several cabinets in a white tone. 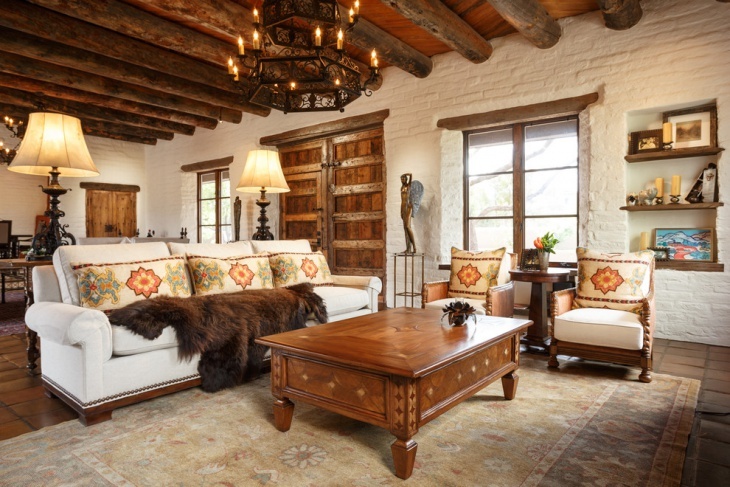 This country style cottage interior has an old school touch and the use of rustic colors. It features a wood stove inside the fireplace and the color scheme is soft muted colors with a rustic finish and an excellent shelving idea. It also features a large sun themed gold frame on the wall. 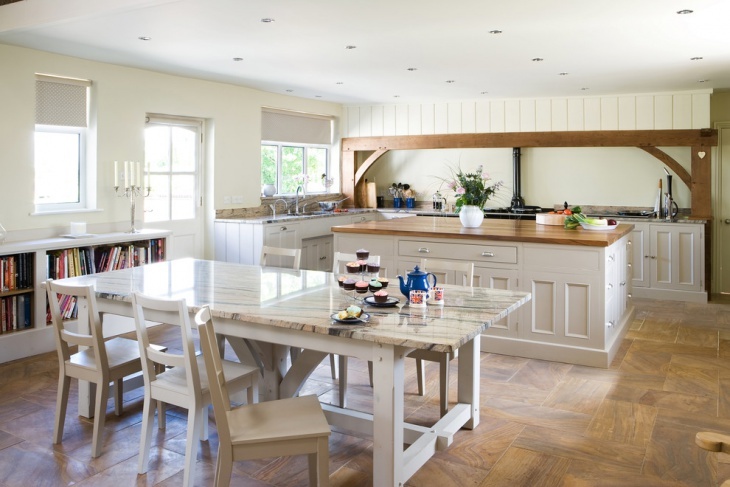 This country kitchen designed in Scandinavian interiors is exotic and has a unique blend of colors. 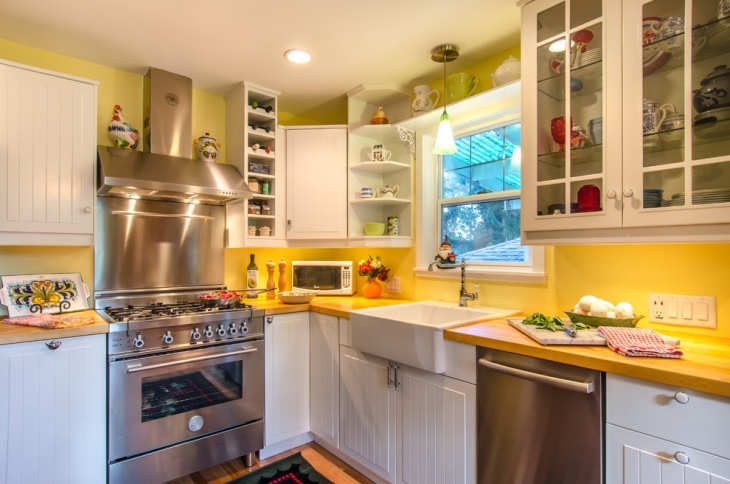 It is an L- shaped kitchen design with a bright yellow backsplash with yellow lights, light hardwood floors, a farmhouse sink and stainless steel appliances and white cabinets. 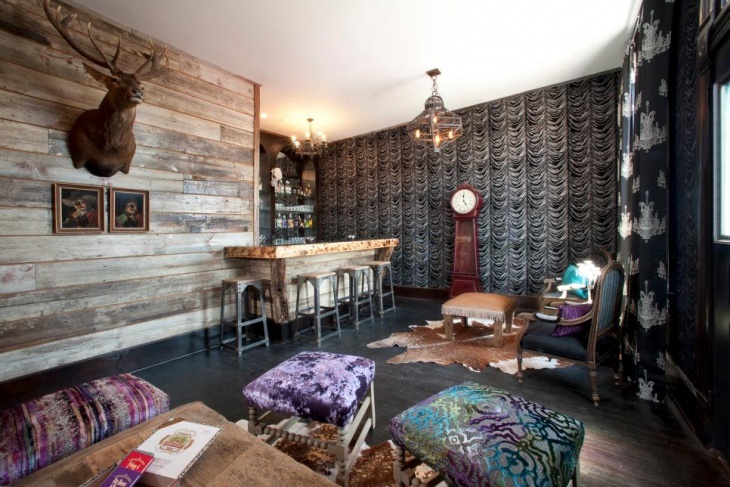 This is a rustic country style interior with dark brown ceiling containing detailed interiors. 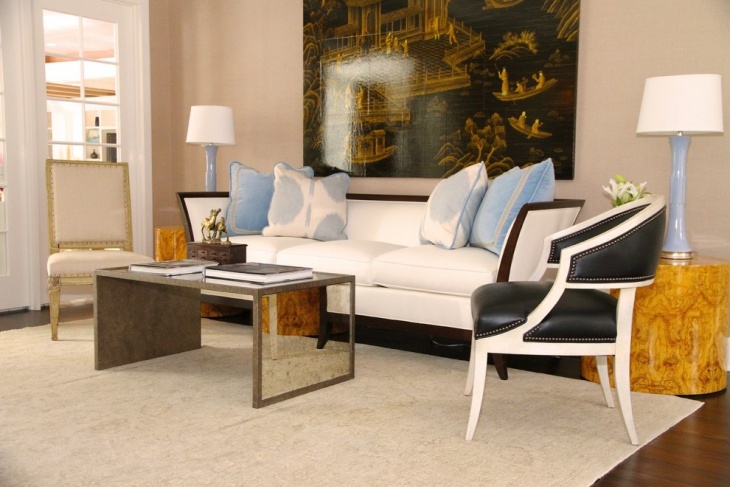 It features a large center coffee table in the wood along with light soft beige sofas and brown fur cover. The chandelier has the original rustic design with candle lighting. This transitional bedroom in white with quilted bed design and cushions is very elegant. 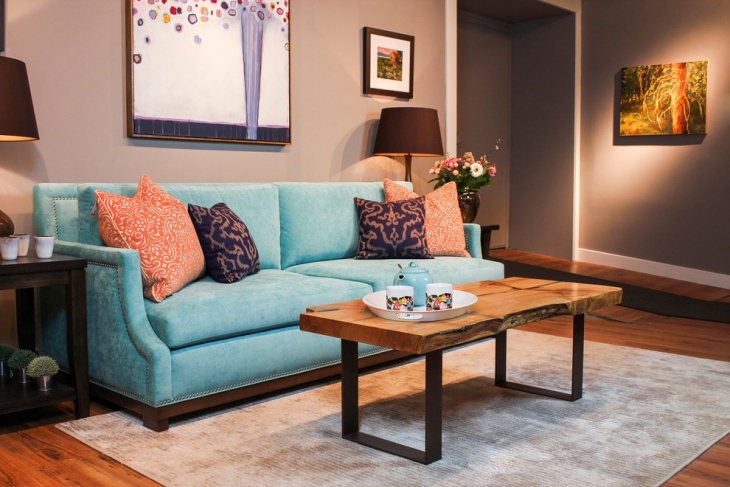 It features patterned drapes and an end of bed bench and a rustic turquoise blue paint color of a soft hue. The room also features a large window with white recliners. Country style Interiors that are although a traditional style but it is incorporated in most modern and contemporary homes. 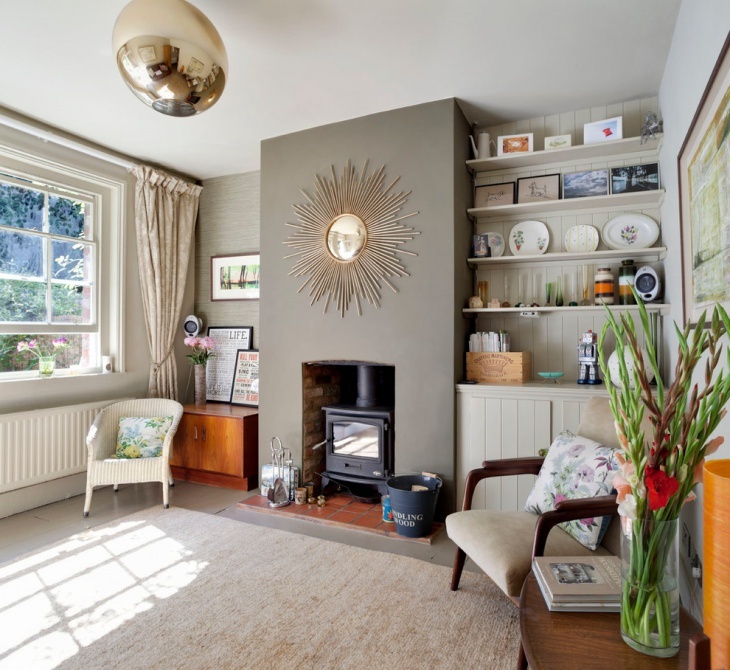 You could incorporate the above classic country style interior design ideas in your home to recreate a beautiful countryside feel inside your house.